Yog-Sothoth knows the gate. Yog-Sothoth is the gate. Yog-Sothoth is the key and guardian of the gate. Past, present, future, all are one in Yog-Sothoth. He knows where the Old Ones broke through of old, and where They shall break through again." –H.P. 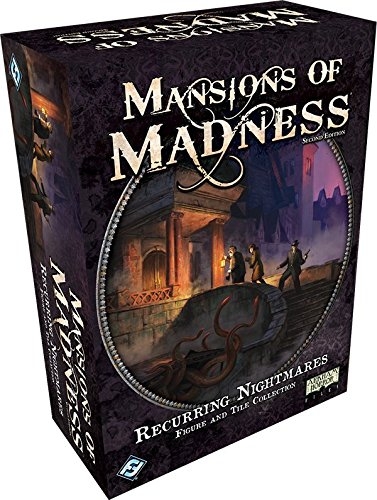 Lovecraft, The Dunwich Horror The frightening creatures of Mansions of Madness Second Edition have haunted your dreams for weeks now. 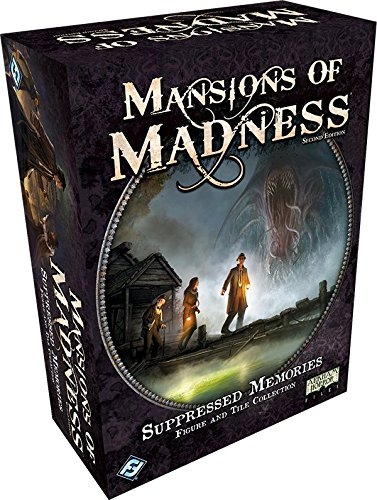 Mysterious disappearances brought you to the Vanderbilt mansion, and your stay in Innsmouth was disturbed by darkness and despair. 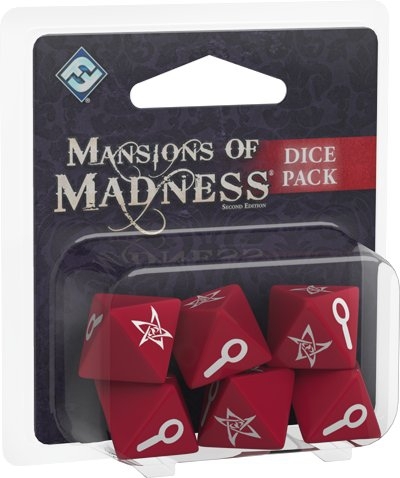 You've encountered devoted cultists and disgruntled spirits, bound to the mortal world by their evil tasks. Terror has overcome you and grievous injuries have put your mortality on display. Every choice you've made has led you somewhere, but even the strongest of mind and body will crack eventually. 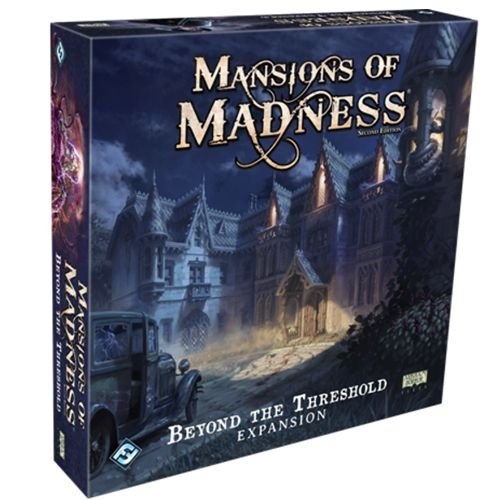 Even more horror awaits you in Beyond the Threshold, the first expansion to Mansions of Madness Second Edition. 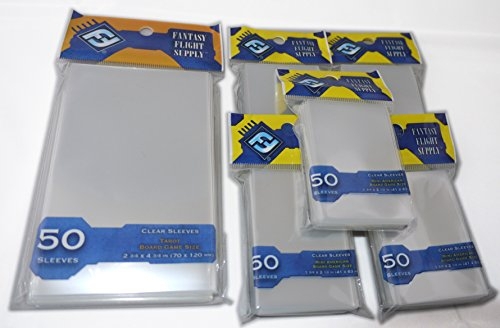 Introducing two new investigators, one unfamiliar creature, and a variety of additional components, this expansion will extend the possibilities of your journey through each and every unsettling scenario of uncertainty and anxiety. 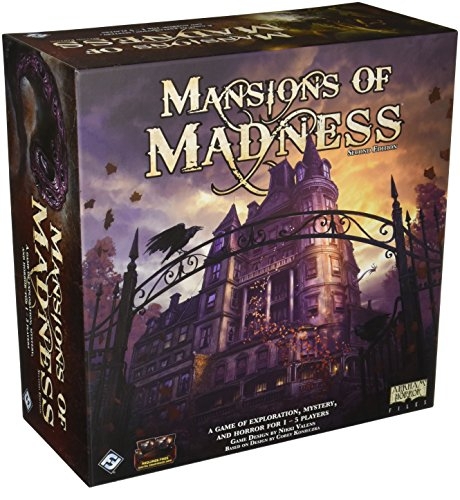 The new spaces to discover, people to encounter, and cards to experience all come together in additional scenarios, throwing you into the dim unknown of two new mysteries, each with their own unique additions to the world of Mansions of Madness.